I've added this Comments and Testimonials page as I receive lots of lovely feedback for Explore Norfolk UK which you can read below. But you can also join in the conversation by adding your own comments as well! If you've enjoyed this site, here's your chance to comment! If you've enjoyed this site and found the information useful, why not join in and let others know what you thought? 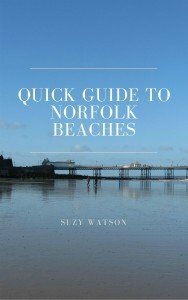 Norfolk beaches - is there just one or many? Hi, just found this site and love it! Thank you for all the information that you give. Fantastic website - thank you!